This weekend, all across the world, people are planning for and attending Easter egg hunts, services and family gatherings. In fact, in preparation for this weekend, nearly 120 million pounds of candy was purchased, including 60 billion jelly beans and 90 million chocolate bunnies. While everyone loves chocolate bunnies and jelly beans, the best part of the holiday is getting to see family and friends. However, for our elderly loved ones, this can prove to be a challenge. Especially for those who have limited mobility or live in senior housing. 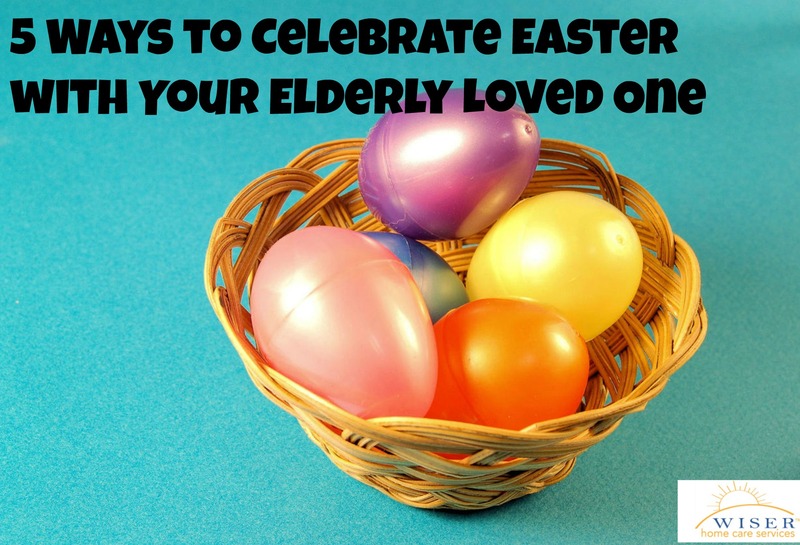 To ensure your elderly loved one gets to have the best Easter, we have compiled several ideas for ways you can include your senior in the holiday activities. If your elderly loved one is healthy enough to travel, pick them up and bring them along on your holiday activities. It can often be a challenge for elderly to get out on their own, so any chance they have to get out should be maximized. Make sure you plan ahead so that you reduce the possible stress being ‘out’ can cause your loved one. Finally, if they are not healthy enough to travel, bring the celebration to your elderly loved one. No matter how old you get, you are never too old for an Easter basket. Who doesn’t love a little candy and peeps? When building your loved one a basket, keep in mind their dietary restrictions. There are many candy stores that specialize in old-fashioned candy. Surprising your elderly loved one with a favorite candy from their childhood could bring back happy memories. If they can’t have much candy, consider a gift card or coupon for a day out, Netflix subscription, book or maybe their favorite magazine. Talk to your elderly loved one about Easters in the past. If they have any particular traditions, such as a favorite Easter dish, a church service or any other Easter event, try to replicate them. This will help them feel special, included and is a great way to carry-on family traditions from one generation to the next. Easter activities such as coloring eggs, participating in an Easter egg hunt or decorating Easter treats aren’t just fun for kids. People of all ages can enjoy these activities and it is a good way for elderly loved ones to interact with grand or great grandchildren. For more Senior Easter activities check out our last blog post on the subject here. Capturing every special Easter memory in video or picture is a good way to preserve the memories you make for years to come. In addition, your elderly loved one would probably appreciate pictures from the holiday to hang in their living space. If you care for an elderly loved one and would like help developing a care plan please feel free to contact us. We can help your family establish a care plan to personally accommodate your loved one’s needs. Happy Easter from Wiser Home Care Services.